The 2015 strategic crisis in Yemen is an extension of international politics in the Arab Middle East. In fact, this crisis is the outcome of the efforts made to change the direction of a regional balance, which has been already changing, through aggressive measures as well as actions taken by Western and Arab countries in the face of national interests of other model regional actors who play their independent roles. In this effort, Saudi Arabia is serving as a proxy for those Western and Arab powers. The crisis in Yemen can be also assessed from the viewpoint of the conflict between the interests of Iran and Saudi Arabia as a result of efforts made to expand the influence of Middle East’s resistance groups toward the southern part of the Arabian Peninsula. Therefore, this crisis is the result of efforts made to prevent the rise of an emerging order in the Persian Gulf and Bab-el-Mandeb regions, and a result of a more serious campaign by the (Persian) Gulf Cooperation Council and the Saudi-led coalition against Iran. Therefore, the rise and fall of the “Operation Decisive Storm” in Yemen was a major manifestation of Saudi Arabia’s effort to seriously counter Iran's foreign policy goals for the expansion of the resistance axis in the Middle East. Various dimensions and critical consequences of the expansion of that axis for the United States’ relations with Arab countries have been even reflected in such important international papers as the New York Times. When analyzing trends, driving forces and effective actors in the evolutionary course of this crisis, one can enumerate such instances as Arabism, Houthism, Wahhabism, and independence seeking. Ethnic and religious tendencies, economic impoverishment of the Yemeni people, fundamental difference between approaches taken to Yemen’s developments by Iran and Arab countries, including Saudi Arabia, as well as geopolitical and geostrategic importance of Bab-el-Mandeb Strait for the United States, Europe and China, are among other variables that have paved the way for interaction among international institutions, the United Nations, the European Union and such actors as the United States and Russia in Yemen’s developments. From another standpoint, the strategic crisis in Yemen is the extension of other global crises, both at regional and international levels, and in the Middle East such as the ongoing crises in Palestine, Iraq, Afghanistan, Syria, Bahrain and Ukraine. Some countries located around the Arabian Peninsula, including Yemen and Oman, have been trying to follow more independent policies compared to the littoral states of the Persian Gulf, which are under theoretical and military influence of Saudi Arabia. Iran is one of the actors that both affects and is affected by the above crises and whose actions and viewpoints with respect to the aforesaid crises have been mostly uniform and following the same theoretical and strategic framework. When analyzing future outlook of this crisis, such scenarios as further growth of sectarianism as well as de facto and de jure disintegration of Yemen can be imaginable. Continuation of efforts made to remove Iran from the political process in Yemen’s crisis, Saudi Arabia’s win in Yemen’s crisis, continuation of the existing trend with the crisis turning into a war of attrition, in addition to effectiveness of mediatory measures are other scenarios that can be considered with regard to this crisis. Continuation of tensions in their current form in short and medium terms and persistence of the status quo on the basis of any one of the aforesaid scenarios can provide grounds for the return and practical reinstatement of Yemen’s former president, Abd Rabbuh Mansur Hadi, who is being supported by Saudi Arabia. If, on the other hand, Houthi fighters gain power in Yemen, it is possible that two states would be established in Yemen and the current tensions would continue to exist. In a scarier scenario, continuation of the current situation in Yemen can lead to a prolonged all-out civil war in this country like what is currently going on in Syria. Policy options can be also considered when analyzing future outlook of 2015 strategic crisis in Yemen. Increasing regional contacts and formation of more serious contact groups as well as efforts made to resolve this crisis through international institutions and organizations are other options that are imaginable in this regard. 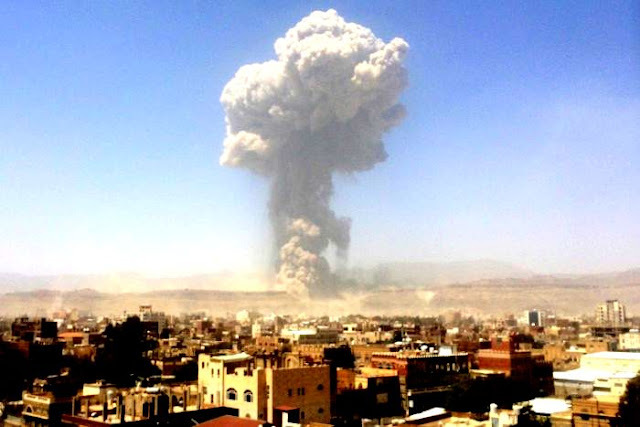 Existence of an effective political determination and reconciliatory intentions as well as an end to intervention in this crisis by all political players with the goal of removing domestic and legitimate actor, as well as making efforts to resolve this crisis through political means and putting an end to other important international crises can be effective in facilitating rapid resolution of Yemen’s crisis. In a final analysis and taking into account all factors that affect the future fate of Yemen, it seems that the final solution to 2015 Yemen crisis would include give-and-take within the country as well as possible deals at regional levels, in addition to mediation and cooperative efforts by international actors at the level of international organizations as well as regional and international institutions, which will go way beyond 2015. *Saudi Arabiaat Crossroads over Syria’s Future: Insisting on Arab World or Coalition with Others?